Our food supply has never been more plentiful, more accessible, or more addicting than it is today. You don't even have to do anything anymore other than roll down your window to get a hot meal served to you. The truth is we are surrounded by food that isn't really even food. It's just heavily processed and manipulated ingredients that have been stripped of their nutritious value and loaded with salt, sugar, and fat so that you become addicted to it. In fact, one study examined this very topic and found the consumption of refined foods was correlated with the same addictive behaviors that tobacco and alcohol users portrayed.1 But it goes beyond fast food, vending machines, and junk foods that line the shelves of food outlets. To really master the art of healthy eating you need to understand what foods promote disease, and how they do this. It is not until you understand this that you'll be able to take control of your own destiny and make health-promoting decisions leading to a disease-free life. 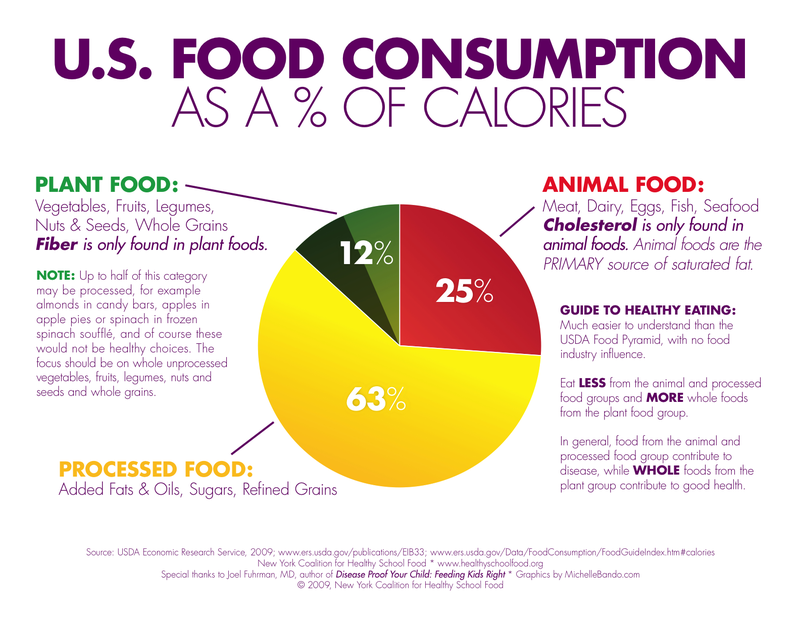 The chart below is an eye-opening look at what we eat in America. If you add up the foods that promote disease (processed foods, animal foods, and half of the plant food) it totals 94%! This is the reason America is so sick. Frozen dinners, frozen pizzas, fish sticks, tator tots, appetizers, etc. Chips, crackers (yes! even Wheat Thins), cookies, etc. As a rule of thumb, if a food product is located in the middle of the grocery store, comes from a fast food joint, or pops out of a vending machine then it's probably not healthy for you. Processed foods promote chronic diseases in a number of ways as you can see below. American Samoans that had a diet high in processed foods such as rice, potato chips, cake, and pancakes showed an increased risk of developing metabolic syndrome and higher triglyceride levels.6 This can lead to many different chronic illnesses such as heart disease, diabetes, stroke, etc. Why exactly is processed food, refined carbohydrates, and added sugars unhealthy for you? The answer lies in how the food is changed before it finds itself on your dinner plate. Refined grains were actually healthy, whole grains at one time, until they were modified by having valuable vitamins (especially B vitamins), minerals, fiber, and other nutrients removed. They are then chemically treated, for example bleached flour, which changes their appearance and further compromises their nutritional value. Processed foods, on the other hand, are any foods that are altered from their original form. When you chop up an onion or a carrot you are processing it. That's not the problem though. The problem instead lies with heavily manipulated foods that have been pre-cooked and/or pre-packaged while having all kinds of unhealthy ingredients thrown into them. 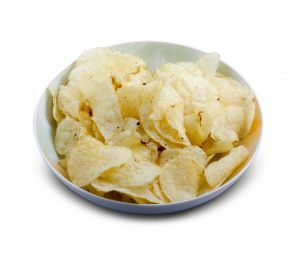 These may include artificial flavors and food colors, preservatives, salt, sugar, chemically-hardened vegetable oils, texture-enhancing agents, and many other unhealthy ingredients. All of this leads to food items that are severely lacking in nutrients, full of undesirable chemicals, and very detrimental to your health. Meat has been the centerpiece of every meal for millions of Americans as long as many of us can remember. Meat has also been a prominent player in the development of heart disease, stroke, cancer, osteoporosis, kidney disease, and many other chronic diseases plaguing America. Many of these same conditions are also our top killer diseases in America. In fact, heart disease, cancer, stroke, diabetes, and kidney disease have been in the top 15 causes of death reported by the CDC for nearly a century now. A study in Oregon showed a significant increase in cancer rates (up to 19 times greater) in individuals who ate higher amounts freshwater fish on a regular basis compared to those consuming little or no fish.20 The increase in cancer was correlated with high amounts of toxins (mainly PCB's, but also dioxins, aldrin, dieldrin, and DDE) found in the fish. Most meat contains an unhealthy balance of omege-6 to omega-3 fatty acids. Excessive amounts of omega-6 fatty acids cause inflammation and oxidative damage in the body leading to the development of chronic diseases, while omega-3 fatty acids have the opposite effect and are anti-inflammatory.22 A healthy ratio of omega-6 to omega-3 is considered to be 2:1 or less. An exception to this rule is grass-fed animals. They have a more balanced ratio of around 2:1, but please keep in mind all the other risk factors listed here for the consumption of meat products. Meat from grass-fed animals still contains animal protein, L-carnitine, and choline, all of which increase cardiovascular disease and cancer risk. 6) Meat contains no fiber, no phytonutrients, and little to no antioxidants, all of which are extremely vital in achieving optimal health. 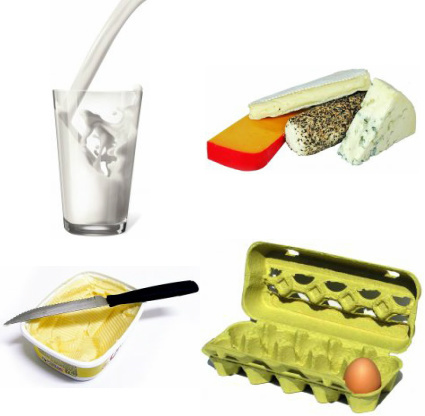 Another staple in our American diets has been the dairy and egg food groups. 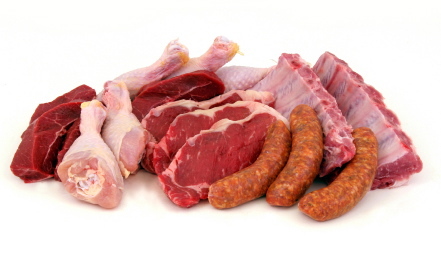 Like meats, these food items also do much more harm than good for our body. We eat/drink a lot of these food items too. Dairy and egg consumption is shown from the following data from the USDA's Economic Research Service and United Egg Producers. Two percent milk is only 2% fat by weight (after it's watered down), not 2% in total fat calories provided. Two percent milk actually contains 35% of total calories in the form of fat. One large egg contains approximately 213 mg of cholesterol and provides 60% of its total calories in the form of fat. One stick of butter provides 100% of its total calories from fat and 63% of these calories are in the form of saturated fat. One cup of shredded cheddar cheese provides 70% of its total calories from fat and 120 mg of cholesterol. One ounce of "fat-free" Half & Half creamer contains 24% of its total calories from fat. It's not fat-free! Learn how to protect yourself from deceiving marketing tricks by reading my article - Decoding the Nutrition "Facts" Label. One tablespoonful of "low-fat" cream cheese contains 70% of it's total calories from fat and 60% of these calories are saturated fat. Casein makes up approximately 80% of the protein content in cow's milk.24 Casein is also found in yogurt, cottage cheese, and cheese. Learn more about the connection between dairy and osteoporosis by reading my article - The Calcium Myth - More Is Not Better. To learn more about the harmful health effects of egg consumption read my article - The Incredible, Edible Egg or Not? 5) Dairy products and eggs contain no fiber, no phytonutrients, and little to no antioxidants, all of which are extremely vital in achieving optimal health. To learn more about the harmful health effects of dairy consumption read my article - Milk - It Does a Body Bad, Really Bad! 1 Ifland JR, Preuss HG, Marcus MT, et al. Refined food addiction: a classic substance use disorder. Med Hypotheses. 2009 May;72(5):518-26. 2 Gross LS, Li L, Ford ES, Liu S. Increased consumption of refined carbohydrates and the epidemic of type 2 diabetes in the United States: an ecological assessment. Am J Clin Nutr 2004;79:7749. 3 Sun Q, Spiegelman D, van Dam RM, et al. White rice, brown rice, and risk of type 2 diabetes in US men and women. Arch Intern Med. 2010 Jun 14;170(11):961-9. 4 Liu S, Sesso HD, Manson JE, et al. Is intake of breakfast cereals related to total and cause-specific mortality in men? Am J Clin Nutr 2003;77(3):594-599. 5 Jacka FN, Pasco JA, Mykletun A. Association of Western and traditional diets with depression and anxiety in women. Am J Psych. 2010 Mar;167(3):305-11. 6 DiBello JR, McGarvey ST, Kraft P. Dietary patterns are associated with metabolic syndrome in adult Samoans. J Nutr. 2009 Oct;139(10):1933-43. 7 Marsh AG, Sanchez TV, Midkelsen O, et al. Cortical bone density of adult lacto-ovo-vegetarian and omnivorous women. J Am Diet Assoc. 1980 Feb;76(2):148-51. 8 Snowdon DA, Phillips RL, Fraser GE. Meat consumption and fatal ischemic heart disease. Prev Med 1984; 13(5):490-500. 9 Salonen JT, Seppanen K, Nyyssonen K, et al. Intake of mercury from fish, lipid peroxidation, and the risk of myocardial infarction and coronary, cardiovascular, and any death in eastern Finnesh men. Circulation 1995; 91(3):645-655. 10 Davidson MH, Hunninghake D, Maki KC, et al. Comparison of the effects of lean red meat vs lean white meat on serum lipid levels among free-living persons with hypercholesterolemia: a long-term, randomized clinical trial. Arch Intern Med. 1999 Jun 28;159(12):1331-8. 11 Ussher JR, Lopaschuk GD, Arduini A. Gut microbiota metabolism of L-carnitine and cardiovascular risk. Atherosclerosis. 2013 Dec;231(2):456-61. 12 Koeth RA, Wang Z, Levison BS, et al. Intestinal microbiota metabolism of L-carnitine, a nutrient in red meat, promotes atherosclerosis. Nat Med. 2013 May;19(5):576-85. 13 Tang WH, Wang Z, Levison BS, et al. Intestinal microbial metabolism of phosphatidylcholine and cardiovascular risk. N Engl J Med. 2013 Apr 25;368(17):1575-84. 14 Bidulescu A, Chambless LE, Siega-Riz AM, et al. Usual choline and betaine dietary intake and incident coronary heart disease: the Atherosclerosis Risk in Communities (ARIC) study. BMC Cardiovasc Disord. 2007 Jul 13;7:20. 15 Campbell TC, Campbell II TM. The China Study. 2006 (3);43-67. 16 Kolonel LN. 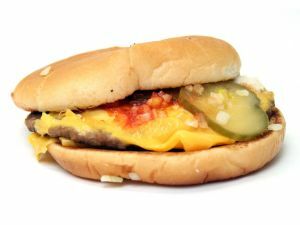 Fat, meat, and prostate cancer. Epidemiol Rev 2001;23:7281. 17 Norat T, Lukanova A, Ferrari P, Riboli E. Meat consumption and colorectal cancer risk: dose-response meta-analysis of epidemiological studies. Int J Cancer 2002;98:24156. 18 Singh PN, Fraser GE. Dietary risk factors for colon cancer in a low-risk population. Am J Epidemiol. 1998 Oct 15;148(8):761-74. 19 Sinha, R., N. Rothman, E.D. Brown, et al. 1995. High concentration of the carcinogens 2-amino-1-methyl-6-phenylimidazo-[4,5] pyridine (PhIP) occur in chicken but are dependent on the cooking method. Cancer Res. 55 (20):4516-19. 20 Kauffman K, White B. Middle Willamette River Fish Consumption Study. Oregon Health Division. 2000, Dec 4. 21 Bessaoud F, Daurès JP, Gerber M. Dietary factors and breast cancer risk: a case control study among a population in Southern France. Nutr Cancer. 2008;60(2):177-87. 22 Patterson E, Wall R, Fitzgerald GF, Ross RP, Stanton C. Health Implications of High Dietary Omega-6 Polyunsaturated Fatty Acids. Journal of Nutrition and Metabolism. 2012;2012:539426. 23 Tappel A. Heme of consumed red meat can act as a catalyst of oxidative damage and could initiate colon, breast and prostate cancers, heart disease and other diseases. Med Hypotheses. 2007;68(3):562-4. 24 Bijl E, van Valenberg HJ, Huppertz T, et al. Protein, casein, and micellar salts in milk: current content and historical perspectives. J Dairy Sci. 2013 Sep;96(9):5455-64. 25 Youngman LD, Campbell TC. Inhibition of aflatoxin B1-induced gamma-glutamyl transpeptidase positive (GGT+) hepatic preneoplastic foci and tumors by low protein diets: evidence that altered GGT+ foci indicate neoplastic potential. Carcinogenesis. 1992(13); 1607-1613. 26 Qin LQ, Xu JY, Wang PY, Tong J, Hoshi K. Milk consumption is a risk factor for prostate cancer in Western countries: evidence from cohort studies. Asia Pac J Clin Nutr. 2007;16(3):467-76. 27 Larsson SC, Orsini N, Wolk A. Milk, milk products and lactose intake and ovarian cancer risk: a meta-analysis of epidemiological studies. Int J Cancer. 2006 Jan 15;118(2):431-41. 28 Fujita T, Fukase M. Comparison of osteoporosis and calcium intake between Japan and the United States. Proc Soc Exp Biol Med. 1992 Jun;200(2):149-52. 29 Xu L, Lu A, Zhao X, Chen X, Cummings SR. Very low rates of hip fracture in Beijing, People's Republic of China the Beijing Osteoporosis Project. Am J Epidemiol. 1996 Nov 1;144(9):901-7. 30 Zhang J, Zhao Z, Berkel HJ. Egg consumption and mortality from colon and rectal cancers: an ecological study. Nutr Cancer. 2003;46(2):158-65. 31 Radosavljevic V, Jankovic S, Marinkovic J, Dokic M. Diet and bladder cancer: a case-control study. Int Urol Nephrol. 2005;37(2):283-9. 32 Appleby PN, Thorogood M, Mann JI, Key TJ. The Oxford Vegetarian Study: an overview. Am J Clin Nutr. 1999 Sep;70(3 Suppl):525S-531S.